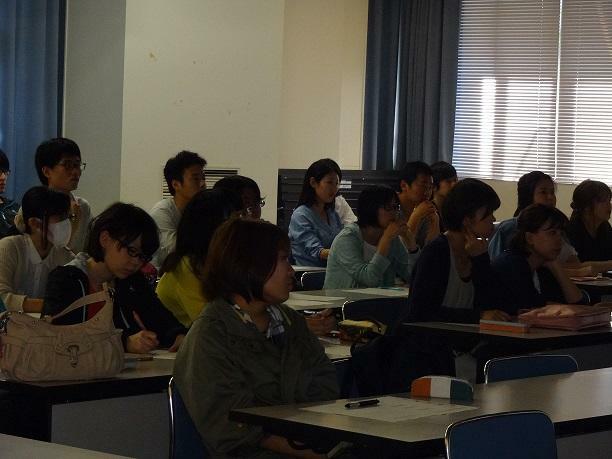 Mie University | Tri-U Orientation Meeting was held!!! Tri-U Orientation Meeting was held!!! 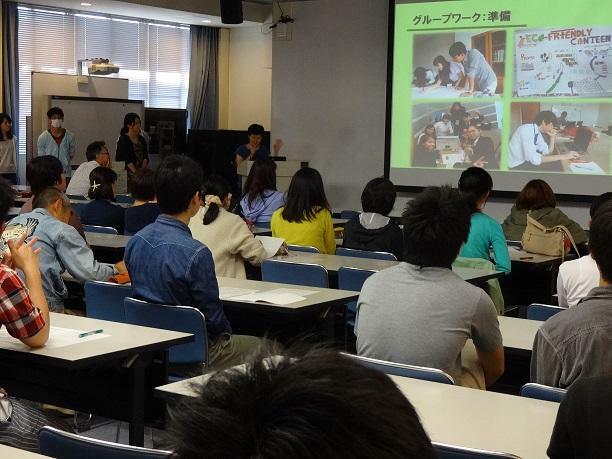 On May 20, Tri-U Orientation Meeting was held at Media Hall of the CIER building. The Tri-U International Joint Seminar & Symposium is an academic meeting hosted by participated Universities including Mie University in turn. Prof. Yoshimatsu, Assistant to the president for International Affairs, explained about Bogor Agricultural University which is the host University in this year. After that, gave a full detail of theme, application method and schedule for selection. 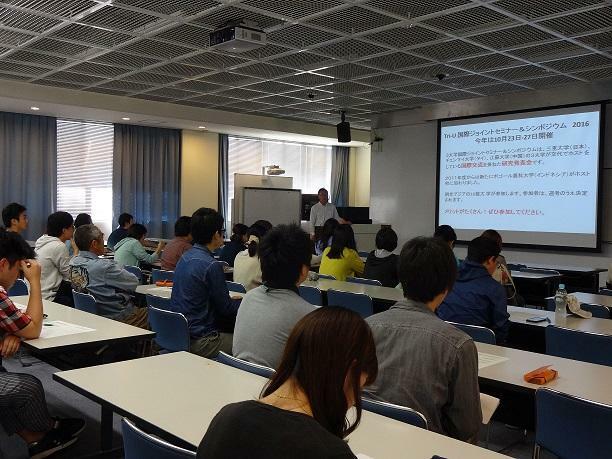 Then Associate Prof. Kurita in charge of papers explained intensive lecture for paper presentation in English. 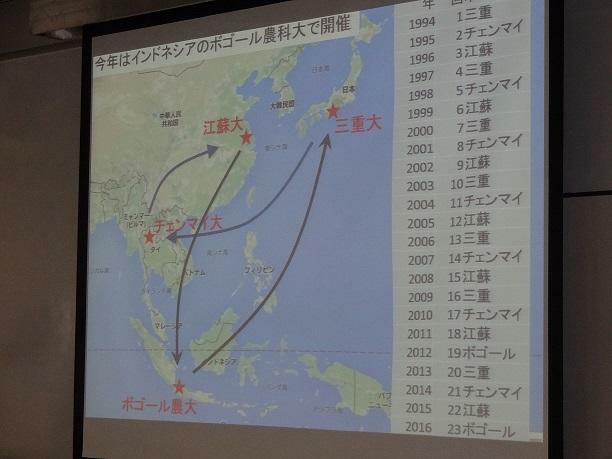 Lastly, Students who took part in last year gave a presentation about their experience. They said "It was really tough to do, but we felt it was worth the effort." About 50 participants came together, and they listened to it earnestly.